For the record they’re not. They’re actually pretty incredible machines, But it is quite a common misconception among a lot of seasoned cyclists. So why is it so many MTB manufacturers put out such poor Emtb promotional videos? Particularly where the most capable descending and playful bikes are concerned. Take Norco as an example. Bryn Atkinson Ex world cup top 20 professional downhiller and all round super stylish rider now retired from racing spends a lot of his time as a brand ambassador for Norco promoting their line of mountain bikes.. 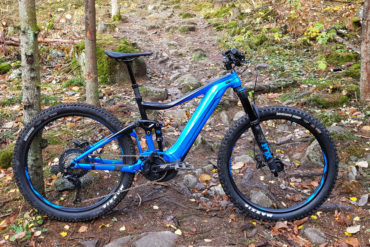 So when Norco announced the release of their Sight VLT Emtb. 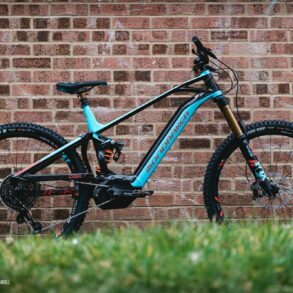 An Electric version of their more than capable Sight Enduro/trail bike and I heard Bryn was doing the promotional video for it’s release I was fairly excited to see the result. Only here’s what Norco put out as the promo..
Now ok. Some of you might be thinking that looks like a pretty good rider making the most of an Ebike on some pretty nice trails. Norco even promoted that video with the slogan “Looks like a Sight, rides like a Sight but… yeah, we put a motor in it” Well how about putting a video of the rider riding it like a Sight then Norco! For comparison here’s Bryn riding the non-Ebike version of the sight (ie. same bike. no motor) in the same area in a promotional video released today. It’s like he’s a completely different rider. Looking at the Ebike video anyone who knew how Bryn used to ride could have been forgiven for thinking he’d had gotten old, settled down, become a dad or whatever and lost his speed and bike skills or possibly that the E bike just couldn’t be ridden in the same manner as he’s ridden countless other bikes from heavy DH bikes to 4X hardtails, enduro and trail bikes. It’s obviously a marketing angle but in my opinion It’s’ ridiculous! And this is in no way a slight on just Norco. Kona (with Aggy). Canyon (Fabian Barel), Commencal (Remi Thirion), Devinci (Kenny Smith). They’ve all done it… same thing. Ridiculously good riders riding in for them what could be considered a mediocre manner in their sponsor’s flagship EMTB promo video. If you know who to follow instagram has plenty of short clips of high profile professional riders riding their sponsors Ebikes far closer to their potential and I’m fairly sure the tide is about to turn. In the next few months if rumours are to be believed I think we’re going to start seeing Cannondale Emtbs being ridden by the Fabric/50to01 riders… a bold move and for me it can’t come too soon. Donning my tinfoil hat for a moment. Do you think these companies are intentionally putting out less than exciting Ebike videos so that they don’t capture the imagination of the type of rider that’s going put a bike through a lot more stress in fear of a glut of warranty claims and internet scare stories of constantly snapping frames or broken motor bearings ? A lot of these companies will have learned from their mistakes in the past when they maybe did sell a few less than durable long travel freeride and downhill bikes ending in multiple breakages that gave quite a few companies a pretty bad rep for a few years. Anybody old enough to still remember the nicknames; Commonfail or Cracknfail? Without ever even having swung a leg over one plenty experienced mountain bike riders still genuinely believe all electric mountain bikes are awful to ride. In the past many actually were but things have moved on fast. Many of the younger riders I meet just starting out in the world of mtb seem to have the notion they’re just for elderly, unfit or less than able riders. I on the other hand had been waiting eagerly until geometry and battery technology finally caught up to put us in the great position we are in today with many truly great E bikes to choose from and happen to think a lot of the riders who are today dismissing them will be kicking themselves in a few years when they finally do have a decent ride on a good example. Some may find my views a bit outspoken and fair enough but if you’re an Emtb owner yourself just think back to all the nonsense you’ve heard from the anti-Ebike fraternity on certain other online mtb sites. If you’re not already in posession of a modern EMTB or unconvinced of their capability do yourself a favour beg, borrow or book yourself a few demos. I see no issue with either video…….but at least the first video shows him climbing with ease, then slamming down the single track with aplomb. The 2nd video just shows him riding downhill at speed. 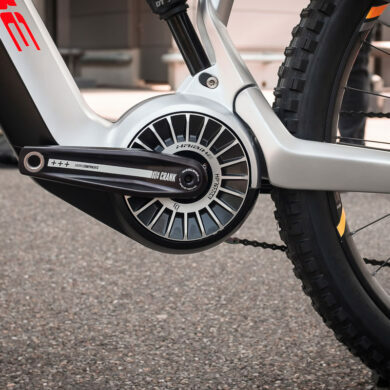 So to me in comparison it’s saying the ebike is more versatile in its use, as it goes up with ease and can be thrown around coming down…..
Wow, what a refreshing change to get a very honest opinion. That was awesome. They (manufacturers) probably know very well their target market. The full throttle, flat out, suicide DH bonanza folks are just a small niche minority. The money is not there for mass manufacturers. I agree with all that was said in this article. Well-written by the way. Sam Pilgrim is an exception. He goes bananas on his ebike in every videos. Hard to compare . The two trails are totally different style and flow. In 1967 there was a very famous article written in the Harvard Business Review called "Marketing Myopia" and all modern day thinking on market strategy from then on has been shaped by those words…..
It’s about defining the market you are in…. Are you in the vynl business?, the CD business?, no your in the music business and you must deliver for your customers music in whatever medium they want or you die….. Blockbuster Video, HMV.???? ?….Sky, Netflix, Spotify and Apple superceded them in a heartbeat.. So for the bike companies they have had to ask themselves ‘what business are we in’? One might define it as ‘cycle related recreational pursuits’…..in that way you don’t restrict yourself to fixating on too narrow a definition for your business (Myopia). 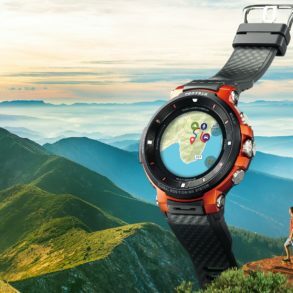 Instead you are open to new technologies and allowing the business to change direction and remain relevant to your consumers…….in essence to always fish where the fish are…..
Emtb is not just a sideshow for these companies, the big volume manufacturers know that there is a fundamental change coming. The early adopters are already there……the masses will follow in due course……..
Interestingly how much is a CD player now worth???? For me, as a consumer at least, this is really a new market. I had all but given up MTB on the grounds of pain/reward, and long-since given up off-road motorbikes, on the grounds of damage to self. 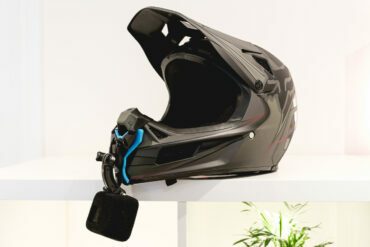 Here we have a product that is really a low-powered lightweight motocross bike, albeit one where the power is being controlled by foot pressure. It takes all of the pain out of a full day of climbing big hills, so it solves my pain/gain issue with MTB. And it is both too slow to be truly dangerous (compared to a CR500!) and light enough to be thrown around on trail and on the back of the car, which solves the biggest issues I had with ‘crossers. In the eyes of the law, and many recreational trail managers, it’s still a bike, which opens up huge swathes of trails that would never be open to motocrossers. This leads me more towards the accessible-outdoors/adventure end of the market, as opposed to the sport market. All of which makes it win-win-win for some of us used-to-be-sporting consumers, but not for those in the traditional MTB space. This is about accessibility, range extension and fun, all in a package that requires no license, no insurance, and limited initial outlay. 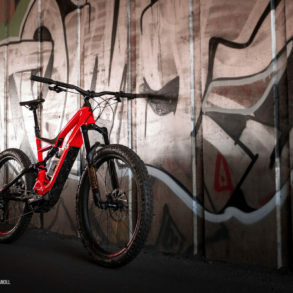 As per the parting shot in R120’s video above, the large majority of existing MTB riders will migrate to eMTB as age kicks in, and as bikes get lighter for their given power. 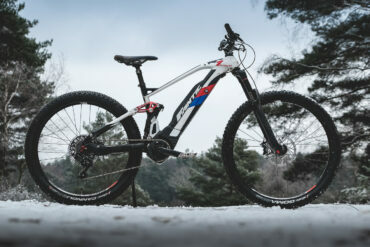 Personally, I feel the sweet spot for 2-3 years from now would be a 15kg eMTB, 200W motor, 400Wh battery, 20mph limit, £3k rrp with reasonable components. Not as beefy as the current crowd, but enough power to get you up the hill comfortably, and light enough to enjoy throwing it down the hill (and on the back of a car!). Quick enough on road to avoid raising the ire of drivers, without it starting to be seen as a moped. Enough battery to see a full day careful consumption in the back of beyond, and cheap enough (!) to make it a viable purchase without having it instead of a car / motorbike. At least that’s what’s on my xmas wish list! Kodak was put out of business almost overnight after dominating the film business globally for decades. Another one is NCR (or National Cash Register as it was known). Whoever it was that used to make Cathode Ray Tubes for TVs, where are they these days? Sony Walkman anyone? I have a portable CD player made by Bose that was given away free with my Bose Quiet Comfort noise cancelling headphones. The headphones are still in regular use and the ear muffs and head band have have been re-covered already, but the CD player is mint. Sony and Bose are still around because they never forgot what they were in business for. The others ignored the threat until it was too late. I know that not taking delivery of an eBike until the New Year does not make me an early adopter, but it feels like it to me. I wonder which of the bike makers will go to the wall first? Or is that never? EMTB’s are a relatively small sector compared to the boom in regular EBikes, EBikes in general are a massive growth market – you only need to look at how many you see being used round London these days, from commuters, to cargo bikes, to Deliveroo riders. 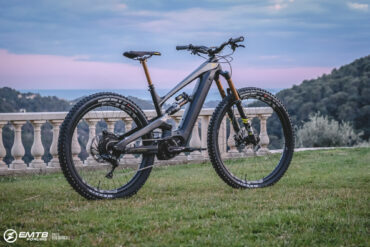 With Emtb’s we have now reached the point, and for me this is the critical thing, where a company can’t just sling together some parts and bring out an EMTB just so they can say they have one in their line and get away with it – EMTB’s now need to be super well thought out and developed machines, as the people buying them are now coming over from top end normal MTB’s and expecting/demanding the the EMTBS’s can perform as they expect out of a normal bike. 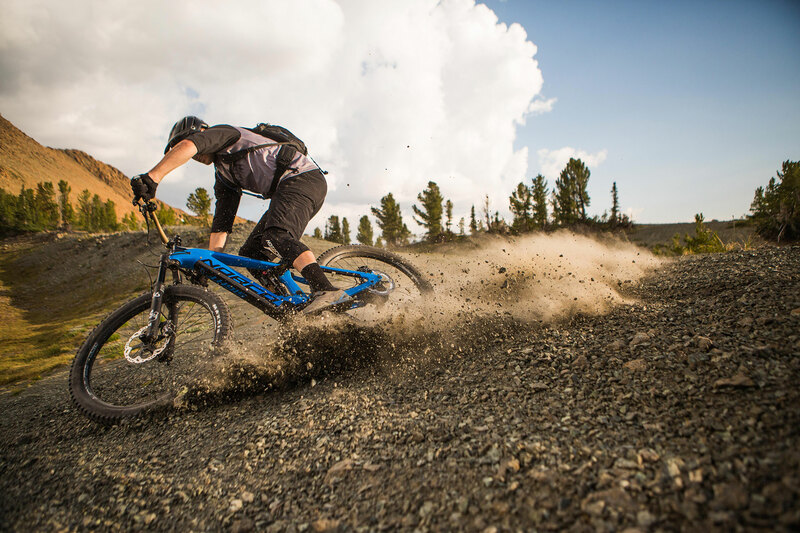 If Yeti or Santacruz, YT or Evil come out with an EMTB, it needs to be a top performing bit of kit, as otherwise like @steve_sordy says in his post they risk becoming like Kodiak. Its early days yet, and development Is rapid, but the true tipping point won’t come until prices are more accessible, and weights get down. 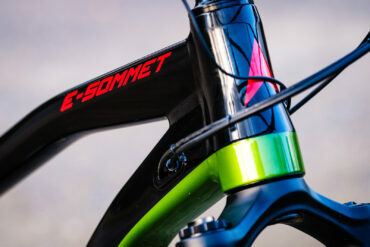 At the moment there is an element of EMTB’s being the hot product of the moment, and one of the issues is that to most people any EMTB will feel pretty amazing on the first couple of ride, but like normal bikes if you have been lucky enough to try out a few you will soon see that there are massive differences between how some of them ride. We seem to be on bit of a power quest at the moment, but for me the power the motor puts out is pretty relevant, they are all powerful enough, what’s critical is have they designed the whole package to mask the weight and be as agile, but stable as possible when riding. @bissona I don’t agree with the whole motocross thing, though I respect your and others point of view on this. I have ridden all forms of motorbikes pretty much since I was 8 years old, and I just don’t think pedal assist EMTB’s are replicating any forms of motocrossing – I totally get the crossover between MTB in general and Motocross, and why a lot of people do both, but if you are a very fit rider you don’t need a motor to get the same buzz you get from MX. And I think fitness is the key, because IMO at least to be really good at MTB, you need to be super fit, and not just generally fit, but MTB specific fit – unlike road cycling which is more about consistent pedal power, riding out in the wilds is about upper body strength to manhandle the bikes around, short sharp burst of power at irregular intervals to get over and up stuff, plus strong core strength to help with balance, combined with good basic fitness to haul you up those climbs. This kind of fitness only comes from spending a lot of time on the bike, or comprehensive gym/crossover training – since most of us don’t have the time (or the inclination!) to do this, the advent of the EMTB is a game changer in the it lets a lot of us get out on the mountain and compensate for our fitness levels. 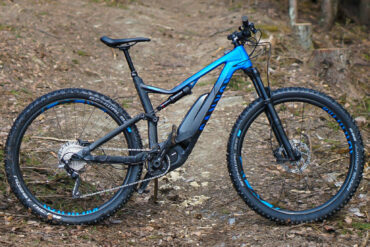 You still need to be pretty fit, motor or not to push things hard on an EMTB. The EMTB allows you to optimise your time out on the trails, and that’s what’s so great about them, for most of us they turn up the fun and turn down the pain. I think what made me think emtb will eventually be bigger than MTB is the word ‘fun’……everybody who tries an ebike talks about how much fun it was……..most people who ski or snowboard use chair lifts…..you wouldn’t dream of walking up the mountain snarling at others using the chairlifts ….."you have to earn your decents you cheats" !!!!!!! All great and very valid points. Despite the name of this Forum being EMTB, it had never occurred to me before that I was using the generic term eBike, when I meant emtb! doh! Emtbs will only be popular in the places where you can legally ride them, because of that, I’m not certain they will take over in the US. Absolutely in certain areas though. Ebikes in general though, will continue to grow everywhere. Can only comment for me on this as a 50 year old having recently got an emtb this year. My old normal mtb sat unused…..I’d ridden and raced motorbikes for a number of years but that was coming to an end as I started measuring my fun in how much it cost…the emtb was bought not to get fit as I have a basic fitness level but bought to have fun on pure and simple without the hills being miserable. I have no desire to spend hours each week getting fit and tbh don’t have the time. Having seen really fit young folk struggle to keep up with my ebike up hill there is no way I could ever get that fit anyway. The emtb has enabled me to go out and get a proper adrenalin buzz on a par with a motorbike trackday especially on man made courses which I have local to me. Having the assist means I can go everywhere as quick as I want and because I’m getting a buzz out of it I get the incentive to try harder. I out everything I have physically into the ride as well as using the assist so I get a good workout and I get the adrenalin buzz I want. This is where I differ from a lot of cyclists and why they don’t understand the emtb, I have bought it solely for going as quick as I can in all situations and to replace what was a very expensive hobby. A day out now costs me £10 compared to £300+. The added bonus is I am getting fitter and I have taken the normal bike out a bit more especially on family rides. When I started with the emtb I didn’t hit the speed limiter much whereas now I find I am hitting it all the time even on the uphills. With regards to the weight it makes little difference to a normal rider even on the downhills, a lot of reviews confirm this. I can imagine to a serious amateur or pro they will feel it but watching some of the pros on downhill they are putting in quicker times on emtb it’s that close. Unless you’re trying to wheelie the bloody thing! Haha, our paths cross again! Indeed, good to see you mate hope you and family are well……12 years ago we were sharing those race tracks ! Indeed, from flat-out at Assen to 16.5mph up a muddy track covered in horse sh*t! Loving the eMTB though, and developing a little clan over here (3 of us on Focus JAMs as of yesterday). Hope all well with you &amp; yours too. Sorry, total thread hijack – will get a room! Couchy, where are you riding? I’m finding it hard to find good trails in the Nottingham, Newark area. I ride Pines regularly and whilst the red is good for a fast blitz, it is not too technical. There are lots of off-piste trails about though that are more challenging, or at the very least more interesting! I’m going to have to look further afield. The latest Commencal ebike video made me think of this article! 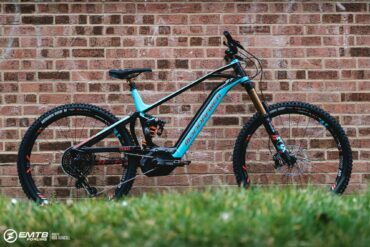 Is Commencal getting the hang of promoting ebikes? ?